Moonstone has traditionally been used to enhance psychic abilities and to develop clairvoyance. It can be worn as a pendant to encourage acceptance of your psychic gifts. 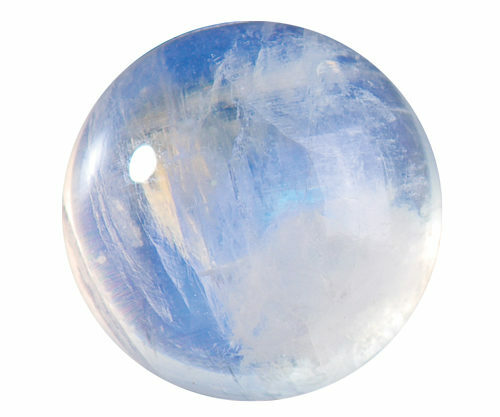 Moonstone calms over reactions to situations and to emotional triggers. Moonstone is filled with receptive, passive, feminine energy. It balances male-female energies and helps men who want to get in touch with their feminine side. It is the perfect antidote for the excessively macho man or overly aggressive female. Moonstone opens the mind to sudden and irrational impulses, serendipity. Care must be taken that it does not induce illusions in response to wishful thinking.